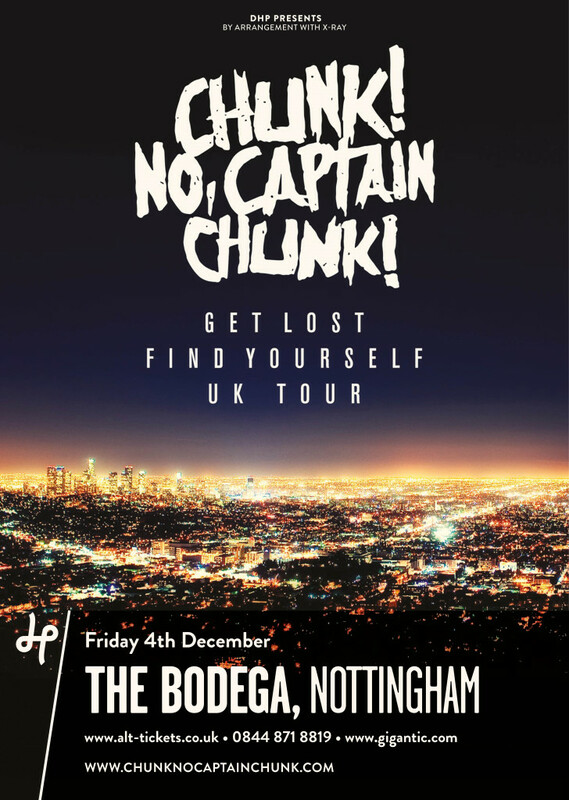 Hit The Deck Festival – Nottingham / Bristol 2014 » Chunk! No, Captain Chunk! Play The Bodega In December! Blog: Chunk! No, Captain Chunk! Play The Bodega In December! French pop-punk five-piece Chunk! No, Captain Chunk! have confirmed they will be headlining The Bodega in Nottingham on Friday 4th December. This highly anticipated performance will see the Parisian rockers touring their third full-length album ‘Get Lost, Find Yourself’. Tickets for this date are on sale now with Alt-Tickets.